Hazel Ruby McQuain Park, originally built in 1999 is currently undergoing renovation. 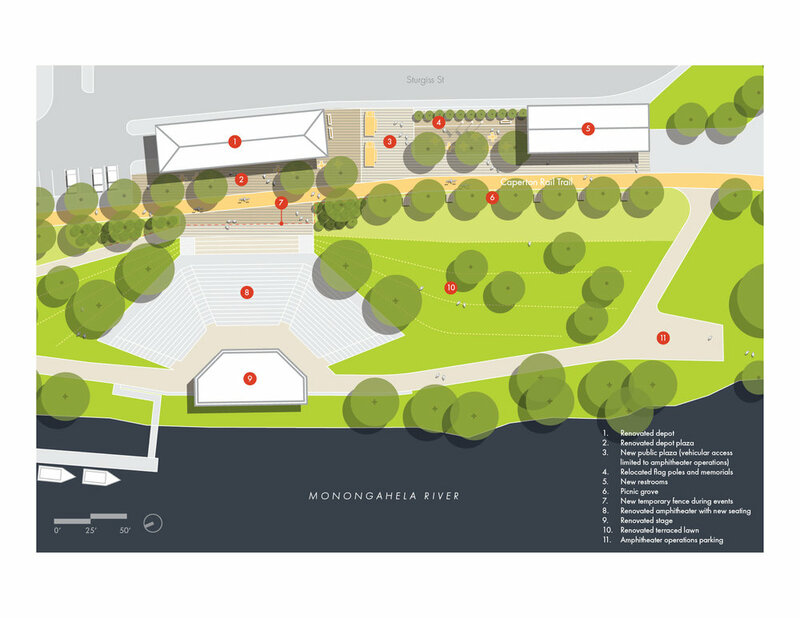 Funded by the Hazel Ruby McQuain Foundation, the redesign of the park includes a renovated upland riverfront trail, new flexible plazas, new restrooms, revamped amphitheater seating, an updated boat launch, kayak storage, picnic groves, and native riverfront habitat. 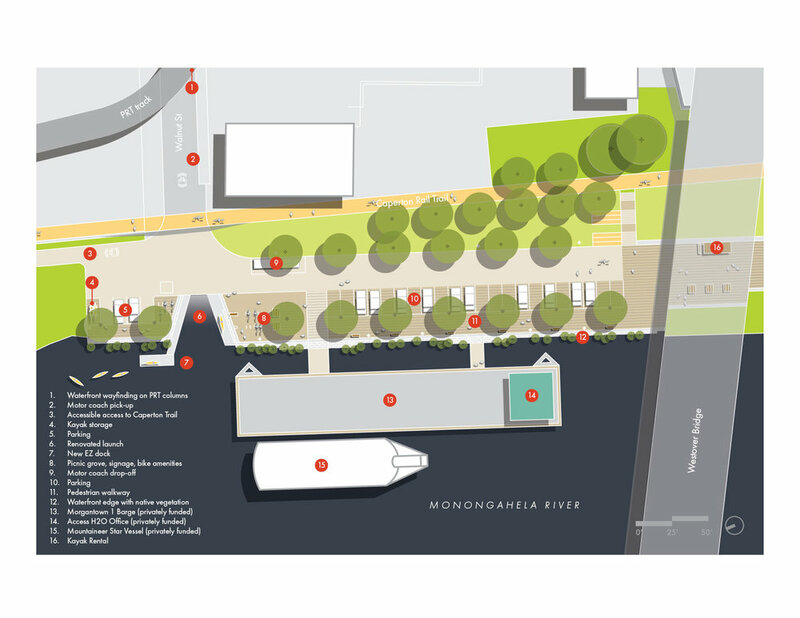 The park will provide needed recreational connections and riverfront amenities. Led by Merritt Chase and Riverlife, community stakeholder teams met multiple times to collaboratively design the riverfront park concepts. 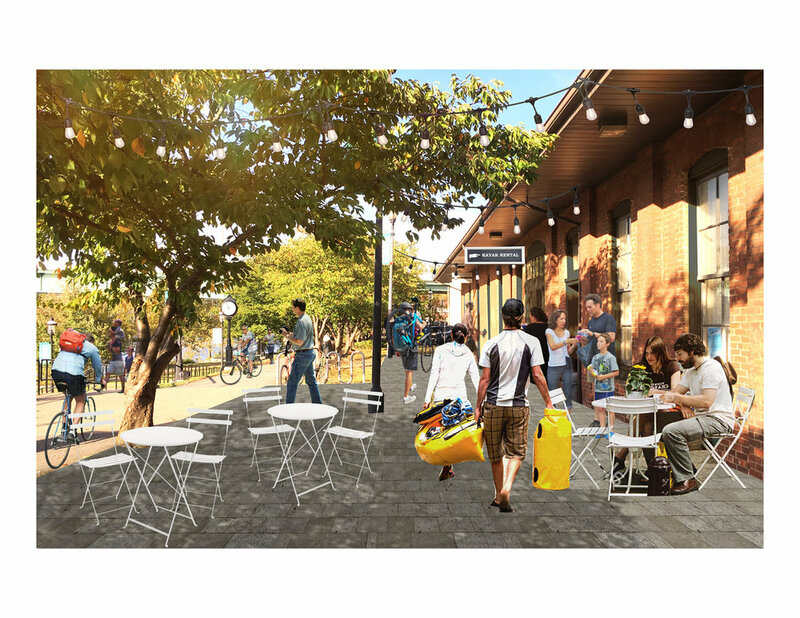 Workshops identified opportunities and constraints, familiarized stakeholders with regional riverfront resources, and developed park design concepts. Park amenities were selected and incorporated to leverage community need and available funding sources.